Alyson Gerber’s Focused is one of my favorite reads this year – and an important book that I hope finds its way into as many hands as possible. 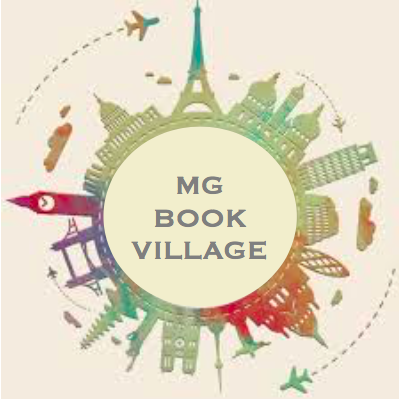 I’m thrilled that Alyson agreed to stop by the MG Book Village today to talk about her latest middle grade novel. Focused hits shelves next week so make sure you plan a visit to your local bookstore or pre-order a copy here! Alyson – I am incredibly excited to see your latest novel, Focused, out in the world! What is this story about? Thank you! It means a lot to hear that you’re excited about my new book! Focused features Clea, a gutsy, seventh grade chess player, who is caught between her love of chess and her ADHD. You’ve mentioned that Clea’s story is somewhat based on your own experiences with ADHD. One of the most powerful aspects of the novel is how Clea starts to recognize that what she considered a weakness can actually be a strength. In fact, you recently said on Twitter “ADHD is one of my favorite parts of myself.” What are the positives for you? This is such a great question! There are so many positive aspects of having ADHD. I’ll share a few here, but there are definitely more. First, hyperfocus! When I find something I love to do, it’s all I can think about and talk about. I get consumed, and that has been a huge asset to me in writing books. Hyperfocus enables me to dive into a character’s mind and live in their world. Also, I have a difficult time regulating my emotions, I’m very open about my feelings and experiences. While this wasn’t great in middle school, as an adult, it has given me the chance to connect with a lot of different people. I’ve been able to share, listen, learn, help and be helped. Lastly, my brain works really fast, and because of how I process information, I often see things differently than other people. While that can be a problem at times and in certain situations, it can also be a huge asset, because I can solve puzzles and problems very quickly and come up with unusual solutions. One of the things I really loved is that even though your novel is about a particular girl coming to terms with her particular diagnosis of ADHD, how she and her family and friends handle that can be generalized to so many other situations. Thank you. That was my intention in writing Focused. I wanted all readers to be able to find themselves in this book. We each have our own unique problems and struggles. Part of growing up is facing those challenges and learning to stand up for what we need and ask for help when we can’t handle things alone. Let’s talk about CHESS! I learned so much about the game and the tournament process from reading Focused. Are you a chess player yourself? And what kind of research did you do? I love chess, but I don’t play. That’s one of my favorite parts about writing fiction: I get to pretend to be really amazing at something I barely know how to do. I actually became interested in chess after I watched a British mystery where obscure chess strategies were being used as clues. After that, my husband taught me the basics, and then I learned how to play using a online training program. For research, I read non-fiction and strategy books, and I watched a lot of chess tournaments on YouTube. It also helped that Maya Marlette, who is an assistant editor at Scholastic, played competitive chess. She was an invaluable resource to me. I was really intrigued by Clea’s organization notebook! Is that a particular strategy or product that really exists? And do you use something similar yourself? For someone with ADHD, staying organized can be a lifelong challenge, there are a lot of strategies and systems that can be helpful. A notebook, like the one Clea uses, as well as color coding can be great tools. What do you hope readers with ADHD take away from reading Focused? There isn’t one way to be smart. Some of the most innovative people, who have changed the world for the better, saw things very differently, like Einstein. What do you hope readers who do not have ADHD take away from reading Focused? My hope is that all readers can find themselves in Focused, and realize that even when they feel alone and like they’re the only one who is having a hard time, they aren’t and they don’t have to handle everything on their own. What resources would you suggest for students and adults to help them understand ADHD and start to develop strategies to help? Reading Focused is a great place to start! I wrote this book for a lot of reasons, but one of the main reasons was that I wanted readers, who are family members, friends, and teachers to kids with ADHD, to be able to experience what it feels like. I would also recommend reading more on chadd.org and understood.org. I just finished a draft of a new middle grade novel that will be published by Scholastic, and I can’t wait to share more details soon! Can’t wait to hear more and thank you so much for stopping by today, Alyson! Thank you for having me and for all of the wonderful questions. I can’t wait until Focused is out in the world! You can pre-order a copy now through your local bookstore or at AlysonGerber.com/Books. Alyson Gerber wore a back brace for scoliosis from the age of eleven to thirteen, an experience that led directly to her debut novel Braced from Scholastic. Alyson’s new middle grade novel Focused, about a girl caught between her love of chess and her ADHD, will be in stores on March 26, 2019. 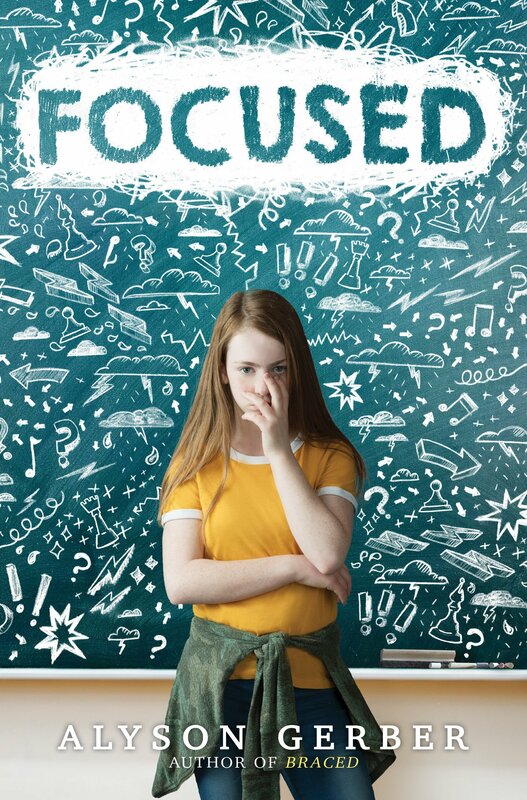 Focused has received a starred review from Kirkus Reviews and the American Library Association’s Booklist and is a Junior Library Library Guild Selection. 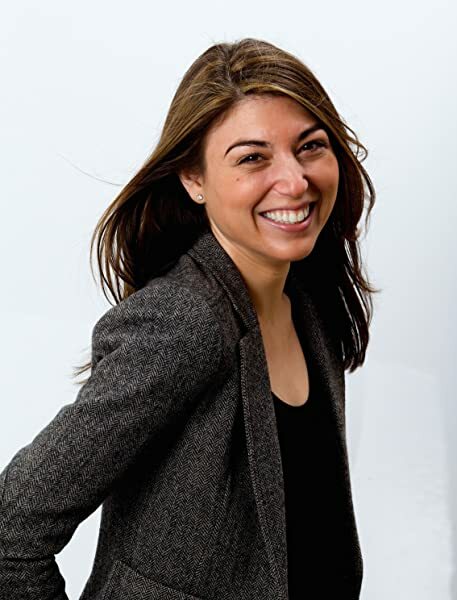 Alyson is a graduate of The New School’s MFA in Writing for Children and lives in New York City with her husband and daughter. You can connect with Alyson on Twitter ( @alysongerber) or Instagram (@alysongerber).